Holocaust survivor, Walter P. Blass, will speak at Brevard College on Monday, February 18, 7 p.m. at the Brevard College Dunham Auditorium. This event is free and open to the public. 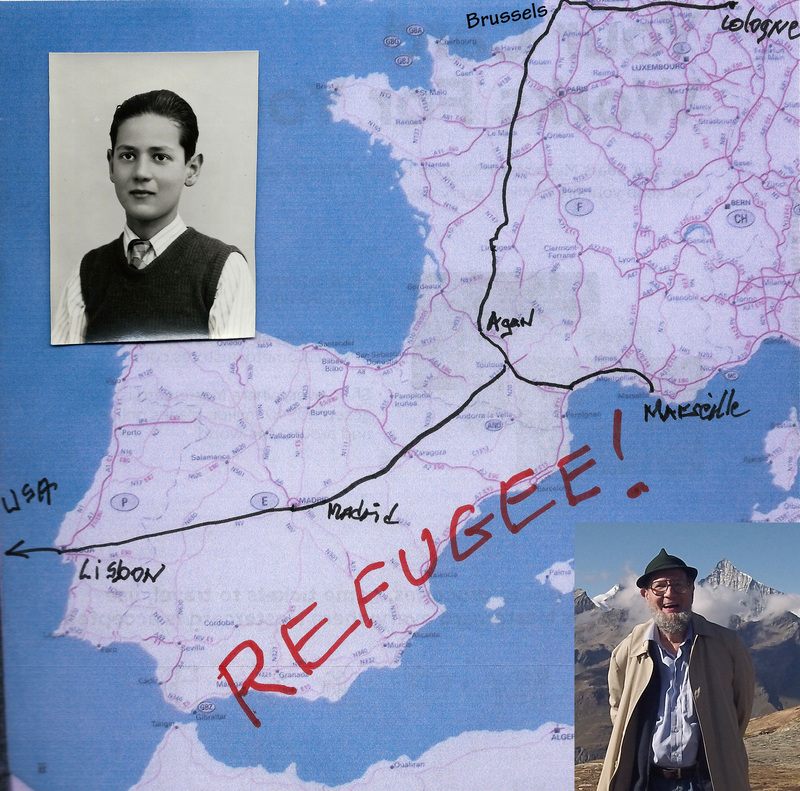 By age 5, Walter Blass was spirited out of Nazi Germany; by age 10 he was a refugee fleeing the German army in France; and by age 11, he arrived in New York with his parent with no knowledge of English. Six years later, as a freshman at Swarthmore College, he wrote out that he wanted to have a career in the public sector, the private sector, and only start teaching when he had learned enough about how things really worked. He was an Assistant Laos Desk Officer in the Foreign Aid program; a Navy Officer aboard ship; a 25 year progression of positions at A&T ending as Director-Strategic Planning; Served two years as Director for the Peace Corps in Afghanistan, and later went to ten colleges as Woodrow Wilson Fellow; taught for 20 years as a Visiting Professor in France, Singapore, Mexico City, Moscow, etc; and served 41 years as a trustee for Guilford College in Greensboro, NC. He is concerned about Globalization and Technology Change at both the workplace and national level as well as what is happening in Higher Education. He has served as a consultant for US Government agencies as well as a couple of dozen corporations. He maintains his contacts with Afghanistan and has helped students and immigrants adapt to American mores and bureaucracy. Throughout Blass’s visit, he will be speaking to Brevard College classes, Brevard Middle School 8th graders and touring the sites of Transylvania County. His visit is part of Brevard College’s Diversity Forum and is also co-sponsored by Project Empathy of Transylvania County and The Democracy Project of Transylvania County, Inc.